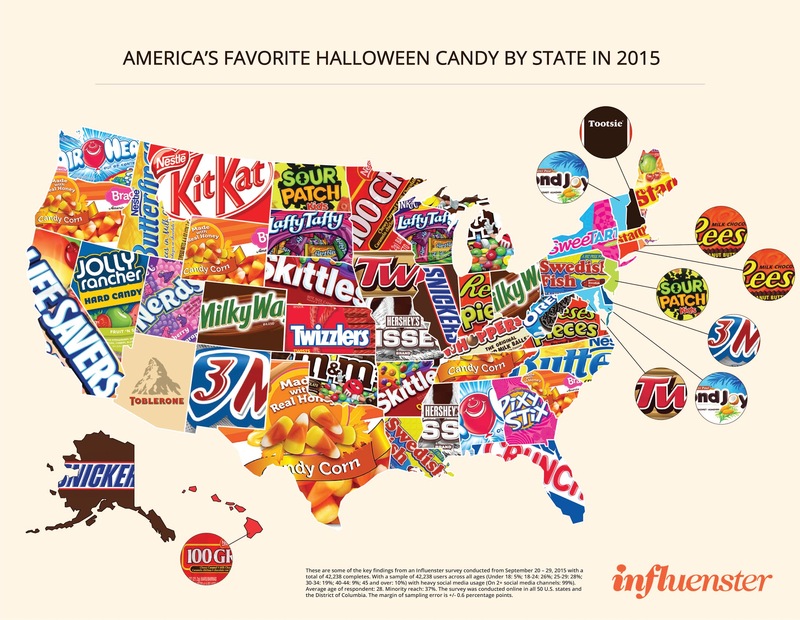 What’s YOUR State’s Favorite Halloween Candy? I’m all about free food, so the topic of Halloween candy is near and dear to my heart. I’m also all over judging people’s taste in food, and luckily for me, the review website Influenster has combined these two passions of mine with their poll of America’s favorite Halloween candy by state. They surveyed over 40,000 people to break down each state’s favorites. The most popular candy, because I guess those 40,000 were heathens with no taste, was the Reese’s Peanut Butter Cups. The two runner-ups were Kit Kats (Kourtney Kardashian’s impact, I assume) and Butterfingers. At least this means we as a nation can agree that chocolate candy is superior to all else. The results also proves that some people never developed a sense of taste, because Candy Corn had the most wins, taking home the top spot in Oregon, Tennessee, Texas, and South Carolina. Tragic. Are you pumped for Halloween yet? Personally I’m excited to hit up CVS on November 1st to get that sweet post-Halloween discount candy.